While I love my cats, I swear I do not own that house coat. 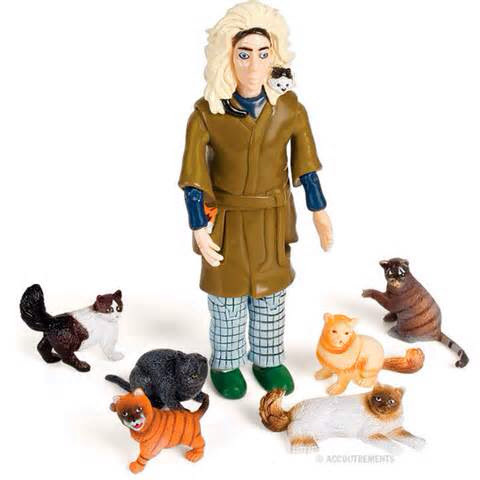 Get you very own Crazy Cat Lady Action Figure at Amazon. Amazon has everything but cats! Since my feral cat colony invaded my barn, my kids call me the crazy Choctaw cat lady. Not sure who she was.